ATLANTA— Nine Mile Circle provided the visual effects firepower for Win, the new music video from Jay Rock. Nine Mile’s Creative director Les Umberger served as visual effects supervisor on the project, which was directed by Dave Meyers and Dave Free, and features the superstar rapper with a marching band, playing pool, hunting ducks and dodging projectiles on a battlefield. Win is the first single from Redemption, Jay Rock’s acclaimed new album on Top Dawg Entertainment. The video presents him, and guest Kendrick Lamar, in a series of surreal scenarios, with all the action cast in muted tones and woven together seamlessly. The arresting visuals evoke the rapper’s struggles growing up in Watts and determination to win at any cost. Umberger shot a variety of effects elements during production, including pyrotechnics, shot in super slow motion with a Phantom camera. They were later composited into a battlefield environment where they appear to be tracer missiles streaking through the sky. They also shot slow motion of stunt talent performing back flips and other acrobatic feats. One of the video’s most impressive images occurs in a scene where Jay Rock is shooting pool. The wall behind him is filled by a mammoth, 3-dimensional abstract painting of churning waves. The artwork was a CG particle effect created with Houdini software. 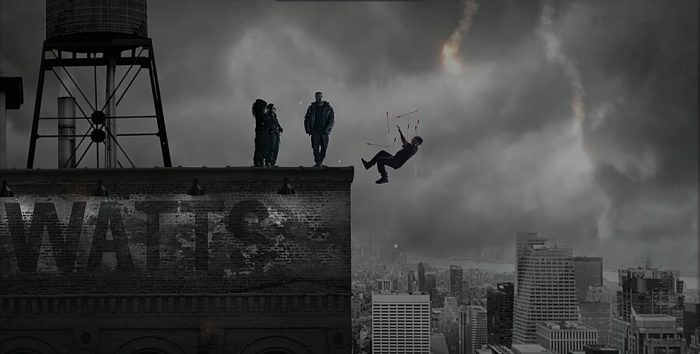 Umberger’s team also produced a 3D matte painting of a Watts neighborhood with thick clouds and lighting, for a scene where Jay Rock pushes a man, riddled with arrows, off a rooftop. Production: Freenjoy. Dave Meyers and Dave Free, directors; Nathan Scherrer, executive producer; Angel Rosa, producer; Scott Cunningham, director of photography; Greg Scruton, editor. VFX: Nine Mile Circle, Atlanta. Les Umberger, VFX Supervisor. 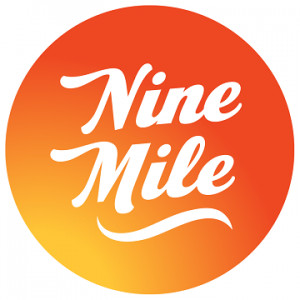 Artist owned and operated, Nine Mile Circle is a premiere post production house offering a full-service sensibility in a boutique environment. The company’s award-winning team collaborates on broadcast, digital and social media projects with leading ad agencies, networks, production companies and filmmakers from all over the world. Services include creative editorial, Flame finishing, visual effects, motion graphics, animation, color correction, audio mixing, sound design and full production services all available under one roof.